Today’s Leadership is Tomorrow’s Success! Leadership Miami is a program sponsored by the Miami Area Chamber of Commerce. The program develops talents and broadens perspectives of present and future community leaders by providing them with practical information concerning community problems and issues. Leadership Miami is designed to stimulate and develop community leaders. The program will develop a sense of community stewardship in the participants and all citizens of the county. 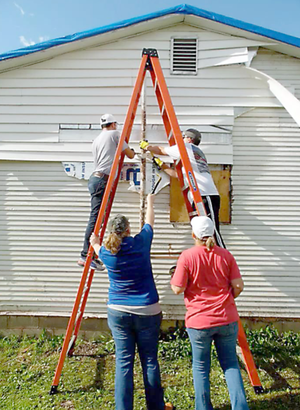 Leadership is the prime force to make things happen in a community. An informed, committed and involved leadership will provide Miami with the necessary foundation to: improve its economic climate; raise the standard of living for county citizens; and, create enthusiasm so people with ideas and talents can lead our community in meeting future challenges. Leadership Miami is an educational type of training that will provide recognition and networking to leaders from all walks of life. The program consists of 10 sessions held monthly including: Orientation and Team Building, Economic Development, Government Day and Legislative Goodwill Tour, Education, Environmental, Native American & Agribusiness, Non-Profit/Health Care, History & Future of Miami, and Graduation. What are the criteria? Live or work in the Miami or Ottawa County area. The desire and ability to take on a future leadership role Commitment to attend all class sessions. Leadership Miami participants are chosen based on the listed criteria. An application process is required to ensure that each class consists of participants from diverse backgrounds and experiences. After the application is received, the current Leadership Miami Committee will review the application during the selection process. 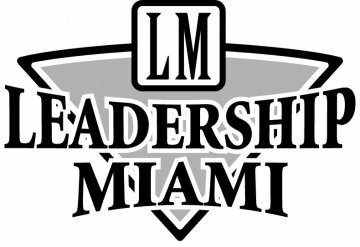 Each Leadership Miami class is limited to a maximum of 15 participants. Since a major criterion of the selection process is the diversity of each class, some candidates who might otherwise meet the selection criteria may not be selected on first application. These candidates are encouraged to reapply in subsequent years. The Leadership program is a nine-month program. Attendance is very important to the success of the program, applicants must be available to attend all sessions. For questions or concerns or to receive an information package, contact the Miami Area Chamber of Commerce at 542-4481, via email to info@miamiokchamber.com or click on the link below. Be one of the first to know what's going on - Sign Up for Our Email Newsletters!